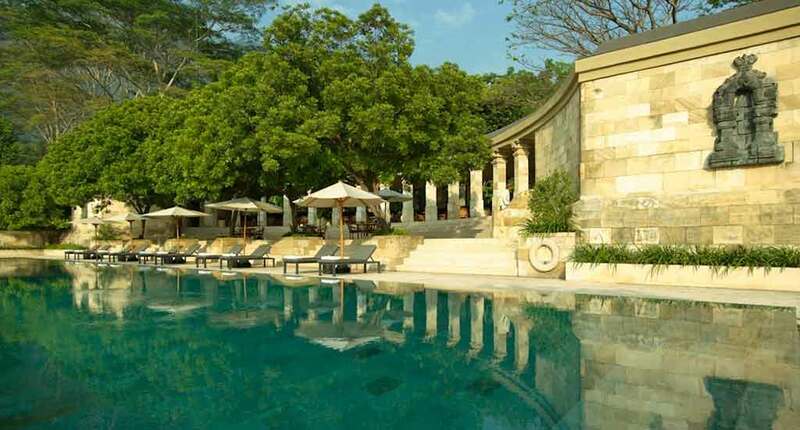 Amanjiwo is a luxury resort located in the heart of a tropical environment on Java Island. It is close to numerous unique tourist attractions. Whatever your vacation program is, you should not miss to explore the largest Buddhist temple in the world, the Borobudur Temple. It was built in the 9th century and consists of over 504 Buddhist statues. 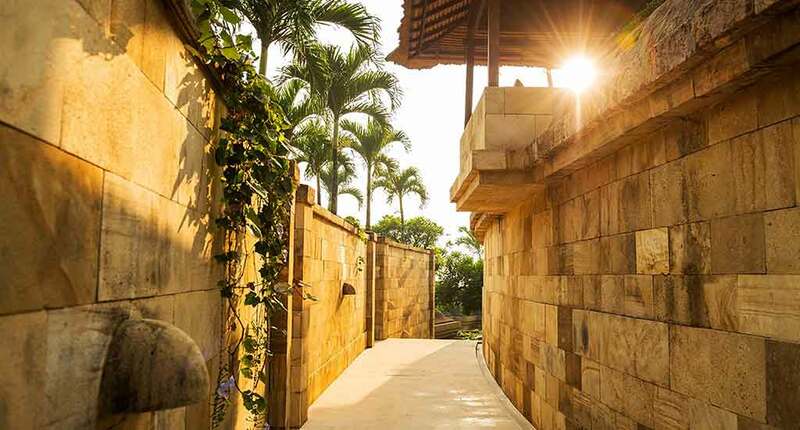 The Amanjiwo Resort’s design is inspired by the traditional style of the Buddhist sanctuaries. It provides five types of royal suites, depending on the view and facility preferences. 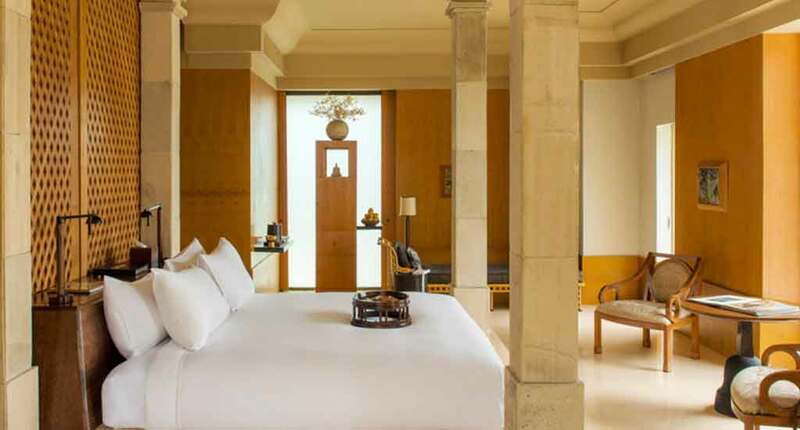 In terms of accommodation, you can opt for a royal Dalem Jiwo Suite, which wonder tourists with its 15-metre pool and Borobudur views or Borobudur Pool Suite, located in front of the rice paddies. If you want the view from your window to turn you to the Menoreh Hills, you should choose the Garden Pool Suite or Garden Suite. Additionally, the rooms have private garden terraces and swimming pools. All suites offer Wi-Fi, Bose wave audio system, safe, and a personal bar. Moreover you will have a private daybed for lounging and dining, a bathroom with bathtub and extra dressing area. Outdoors you will have a private terrace with a stunning view, also private pool suites are available. In terms of wellness, the SPA center provides Mandi Lulur treatments which clean the body and an Intense Pijat massage therapy. The second one is operated by a Javanese master of this art. The resort offers four restaurant options. For fish lovers, we recommend you the Makan Malam Restaurant. 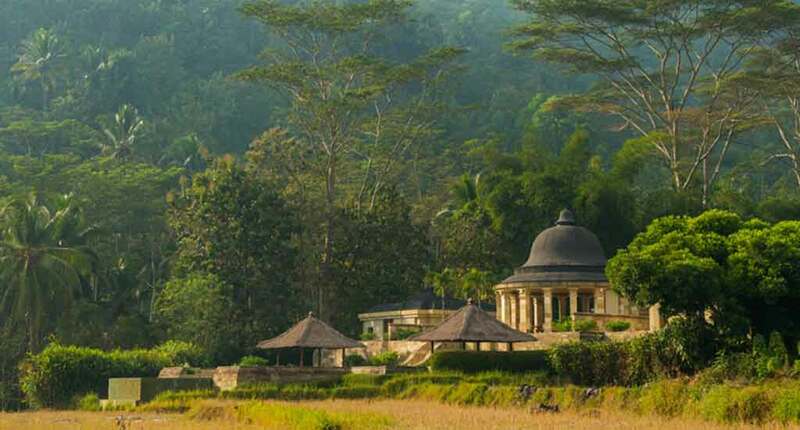 It is placed at the highest point which lets you admire in peace the Borobudur’s landscapes. Do you love to organize picnics? Because you can opt for this option there. Enjoy your dining time in the picnic style at Amanjiwo’s Rustic Bale. The space is private and arranged in a simple, relaxing way, being located in the serene rice terraces. To benefit from this experience just ask at the resort’s reception. 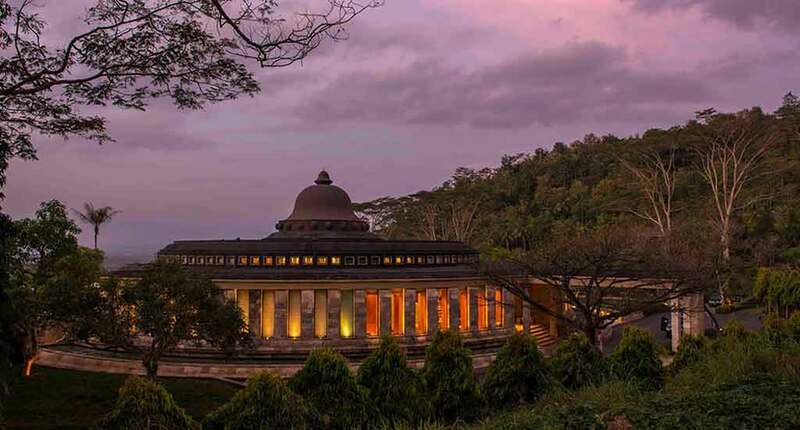 For a romantic night, we recommend you the Selamatan Dinner. Music, dance and traditional cuisine will make you feel in a different era. Your space will be private and sprinkled with petals. Once you have arrived there, do not miss to explore Borobudur temple, Prambanan temple, and the Menoreh hills. Go climbing till the Selogriyo temple, situated on the top of the Sumbing mountain. The road to this destination is full of rice fields and unique views. For more information, do not hesitate to ask at the reception. 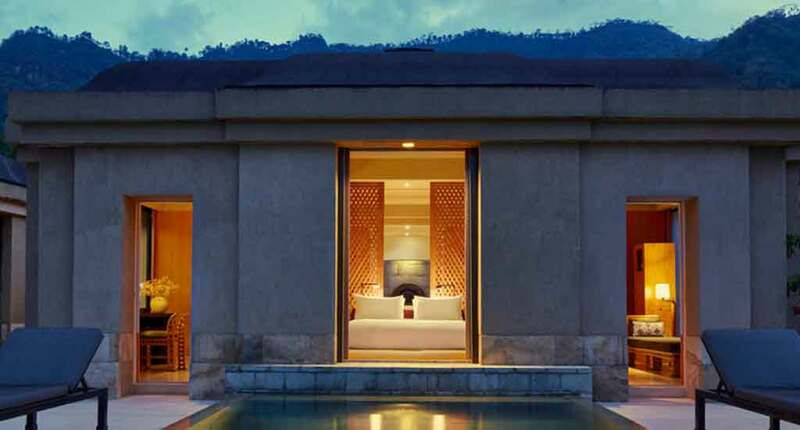 The Amanjiwa resort belongs to the highend Aman group. So you can be sure to experience luxury at its best. 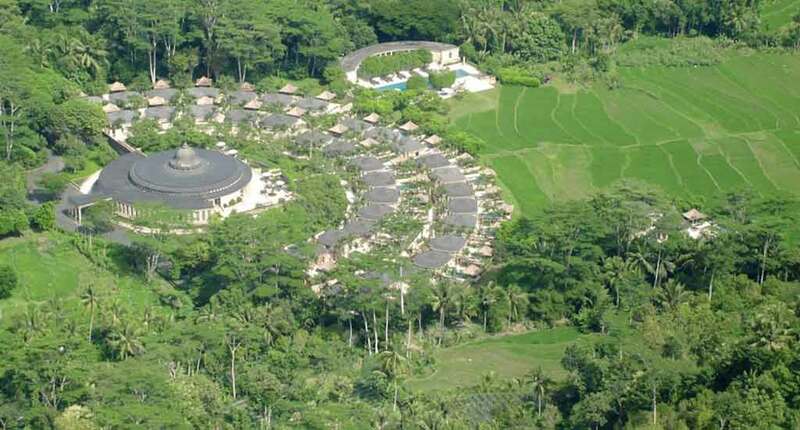 Moreover the location of Amanjiwa Borobudur is simply perfect in the middle of everything. All cultural sightseeing highlights of this area are nearby, while the resort offers you an exclusive oasis of relaxation and beauty. Address: Ds. Majaksingi, Borobudur, Majaksingi, Borobudur, Magelang, Jawa Tengah 56553, Indonesia.